Harry Smith was a noted filmmaker, musicologist, anthropologist, and inveterate collector of sometimes unusual cultural ephemera. 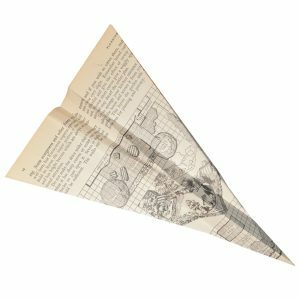 Through his interest in finding commonalities between cultural and artistic expressions, Smith spent 20 years gathering hundreds of paper airplanes found on the streets of New York City, diligently writing on each one the date and location it was found. 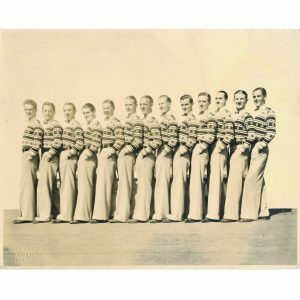 Barry Harrison is an architect, web designer, and collector of anonymous vintage photographs of men pictured in rows. For Harrison, these pictures spell out a specific history of how manhood is and has been defined in the company and context of friends, colleagues, teammates or even an unidentifiable context. 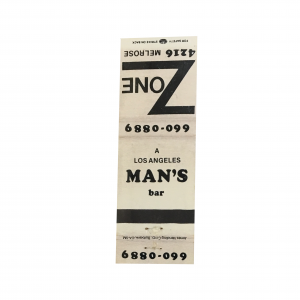 Gathered exclusively from Southern California gay and lesbian bars and businesses, this matchbook collection comes from the ONE Archives at the USC Libraries, holder of the world’s largest collection of LGBTQ-related materials. This collection represents a unique take on phillumenism (the practice of collecting matchbooks), preserving the memory of safe spaces and sites of solidarity. Morgyn Owens-Celli is the founder of the American Museum of Straw Art and a leading expert in the field. After a 1996 fire ravaged the collection and shuttered their brick and mortar location in Long Beach, Owens-Celli traversed the globe amassing a collection of some 10,000 pieces of artwork crafted from straw. 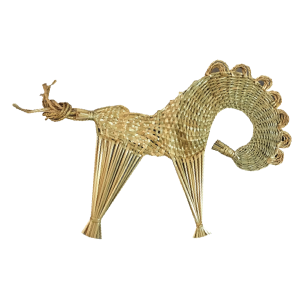 This includes a large number of straw horses, which take on a diverse range of whimsical, masterful forms. 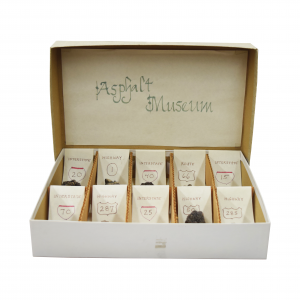 The “old wing” of the World Famous Asphalt Museum was conceived by Dr. V. Scott Gordon in 1991 with his then girlfriend, Marie Vans. 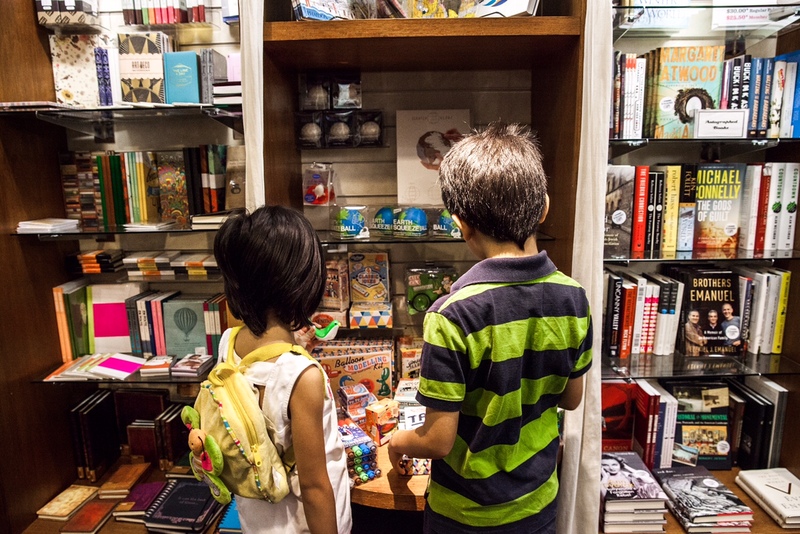 Struck with the desire to start their own small museum, they created one by collecting what was available. 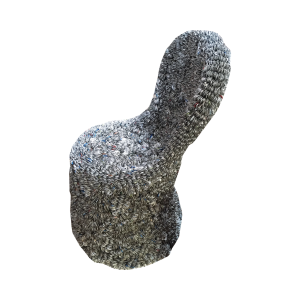 Though an unlikely memento, these modest rocks might vividly recall fond memories of one of America’s most iconic pastimes: a very long drive. 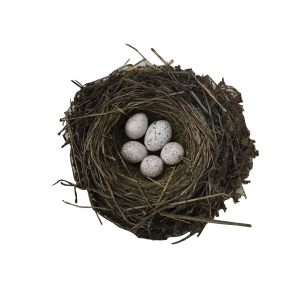 The Western Foundation of Vertebrate Zoology is home to the world’s largest collection of bird eggs and nests, having acquired the collections of major institutions like the LA Natural History Museum in the mid-20th Century. In this exhibition, there are samples from the more than 500 species that have called the Los Angeles Basin home, including specimens impacted by DDT, the study of which led to the ban of the chemical by the EPA in the 1970s. 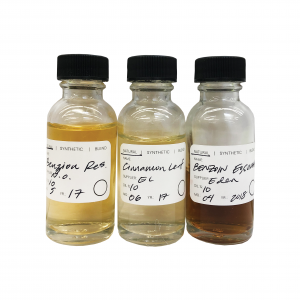 The Chinatown-based Institute for Art & Olfaction (IAO) is the only non-profit organization in the world dedicated to public access and experimentation with scent. The IAO has led or facilitated a staggering range of international artist projects, exhibitions, and educational programs, all centered around the chemistry and perception of smell. 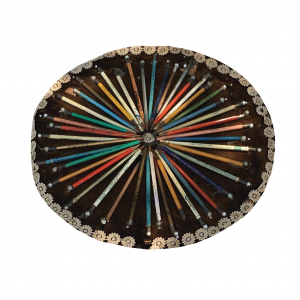 In 1956, at the age of 60, Tressa “Grandma” Prisbrey needed a place to store her collection of 17,000 pencils, many of which had been assembled into folk art pieces. Finding most building supplies too expensive, Prisbrey discovered a nearly endless supply of bottles at the local dump, and began building bottle houses on her property in Simi Valley. A selection of the pencil collages, not seen by the public since the early 1990s, has been restored for this exhibition. Olive Percival was a journalist, activist, gardener, author, collector and the first female insurance clerk in Los Angeles. 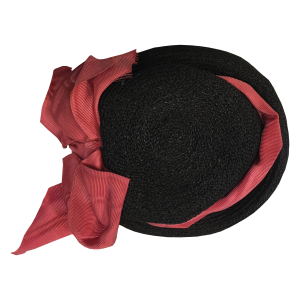 She was a prominent figure in the local women’s suffrage movement, but when she was away from the social commitments and her work Downtown, she also undertook a range of creative projects to bring beauty into her home: most notably, the design and fabrication of hundreds of miniature doll hats. Artist, collector and craftsman Clare Graham is a believer that there is nothing that cannot be transformed into something interesting or beautiful. Many of his works incorporate vast quantities of similar components, such as the soda tab and yardstick furniture being featured, creating pieces with both aesthetic and functional value. Tom Hanks is well known not only for his movies, but also for his typewriter collection. The machines shown in the exhibition were used by Hanks as inspiration for a collection of short stories compiled into the book Uncommon Type. 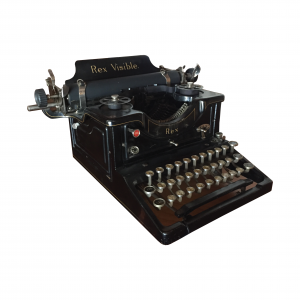 This marks the first public exhibition of his collection, which includes the typewriter that started it all, a Hermes 2000. For the Chicago World’s Fair in 1893, the Los Angeles Chamber of Commerce built a life-size elephant out of walnuts as part of their collection representing LA. 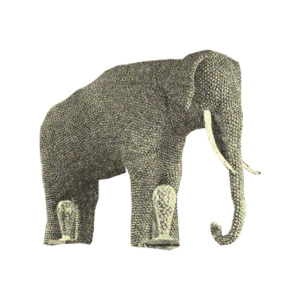 The elephant became a symbol of Los Angeles for several decades, helping to sell Southern California as a land of prosperity. The recreation of this “nutty pachyderm” for this exhibition marks the walnut elephant’s 21st Century debut. 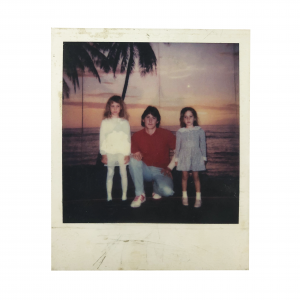 In 2005, artist Alyse Emdur discovered a Polaroid of herself at age five visiting her older brother in prison. Curiously, the photo had a tropical backdrop. Emdur learned that many American prisons allow incarcerated artists to paint backdrops that enable inmates to pretend, if only for a moment, that they are somewhere else. She began writing to prisoners, requesting photos of themselves with the backdrops, and was quickly met with a flood of moving images and correspondence. 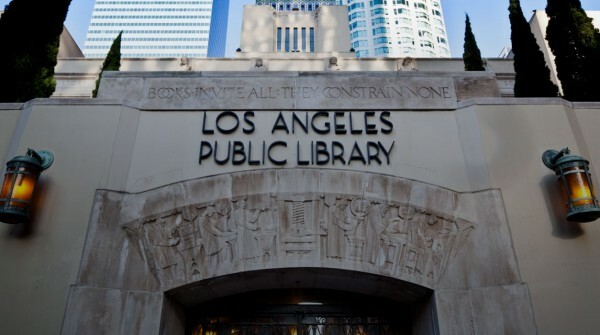 One the Los Angeles Public Library’s most unique research holdings is the biblioteca taurina (AKA the Bullfighting Collection). 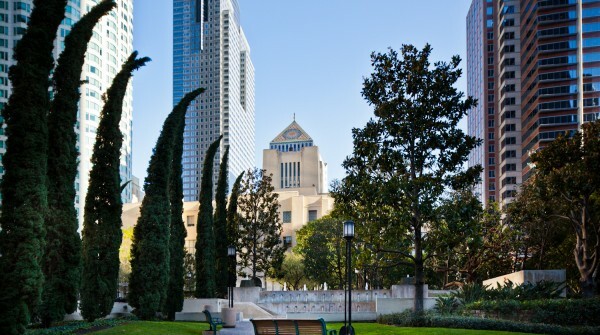 Compiled by LAUSD Spanish teacher George B. Smith and donated in the 1980s, it is the largest of its kind in North America. The collection speaks to the Spanish cultural heritage of Los Angeles, where bullfighting was once a common activity at religious festivals. 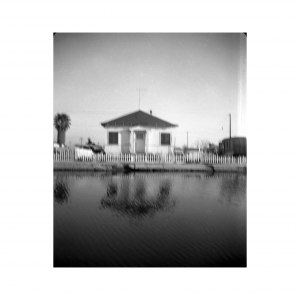 Artist and collector Vincent Ramos has assembled a collection relating to the Venice neighborhood of Los Angeles, where his family has lived for three generations. This new installation, entitled Faded Photographs Of, charts a personal path through diverse ephemera, acting as an examination of the telling of history, and an attempt to find oneself in it. 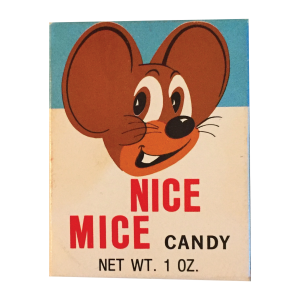 Darlene Lacey began her collection of candy wrappers as a teenager in the 1970s with “Nice Mice.” The Candy Wrapper Museum has since grown into one of the most significant collections of its kind, providing a window into American cultural trends and fads, the history of design and advertising, and a powerful nostalgia trip for all but the very young. 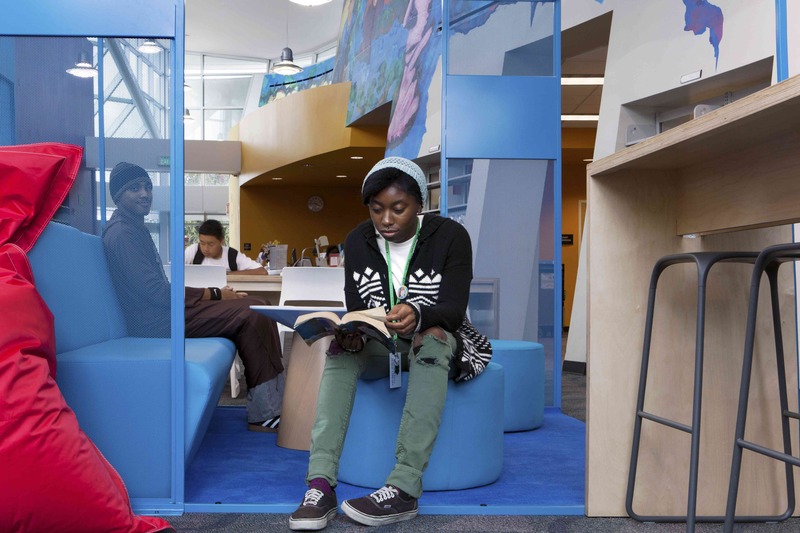 Beginning in the early 1990s, Karen Collins wanted to address an issue she had observed as an elementary school teacher: African American students were not being taught their own cultural history. 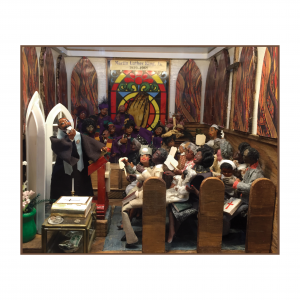 She built dioramas showing scenes of black history and highlighting important figures, ultimately creating the mobile African American Museum of Miniatures which she brings to schools, libraries and museums to share these important stories. William Davies King is a professor of theatre at UC Santa Barbara and a lifelong collector of “Nothing” – valueless ephemera – according to his memoir on the subject. 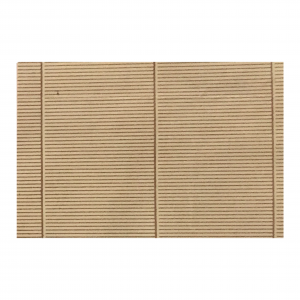 Included in the category are the inside linings of envelopes, also known as security seals. Many of us handle envelopes almost daily without taking a closer look; the patterns inside are, in a way, not even meant to be seen. King’s collection frames our attention to their incredible variety and intricate precision. 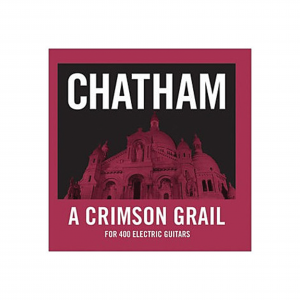 In 2005, Rhys Chatham, a performer and composer of minimalist and avant-garde music since the 1970s, wrote A Crimson Grail, commissioned by the city of Paris. Written for an ensemble of up to 400 guitars, it premiered in the Sacré-Cœur, France’s largest church, and consisted of 125 guitarists arranged in sections throughout the cavernous space. 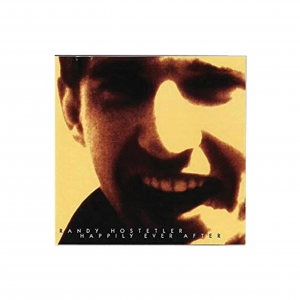 Composer and musician Randy Hostetler, in his electronic composition titled Happily Ever After, was interested in collecting stories. He invited friends and family to tell a story of their choosing, fictional or true, as long as it began with “once upon a time” and ended with “happily ever after.” Enlisting over 60 storytellers, Hostetler spent nearly two years weaving together the contributions into an epic audio collage. 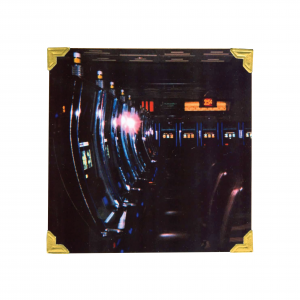 Artist and composer Adrian Rew is a collector of the sounds of American casinos. The experience of being in these spaces is highly controlled, and the soundscape is no exception. Slot machine sounds reinforce a positive experience, and there are no sounds for losing. There are also rumors of an unspoken agreement between machine manufacturers to generate sounds in the same musical key, allowing visitors to become fully immersed and to lose track of time.